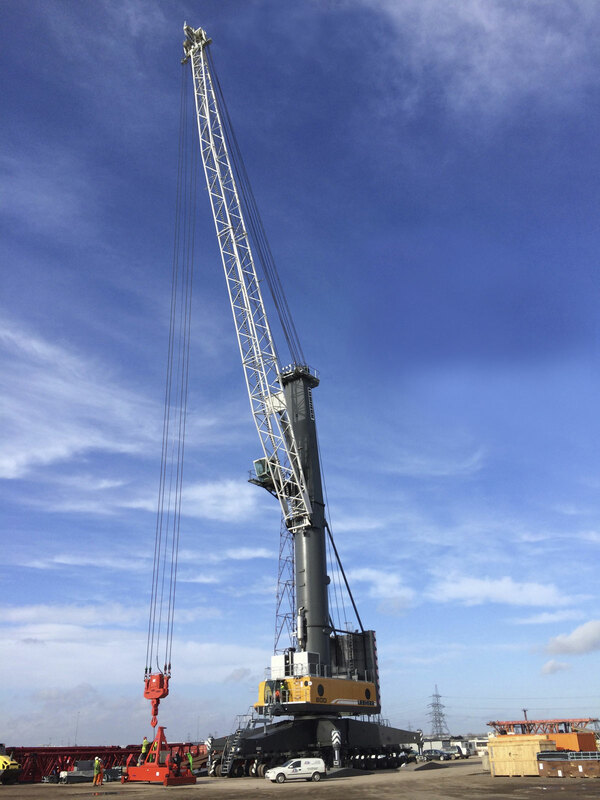 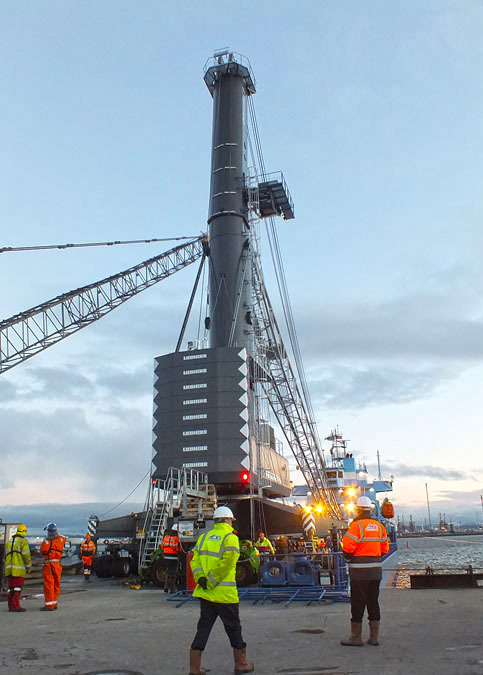 The largest harbour crane in the UK arrived at Able Seaton Port on Thursday 20th February, marking a major step forward in Able UK’s expansion of its port facilities on both the Tees and the Humber. 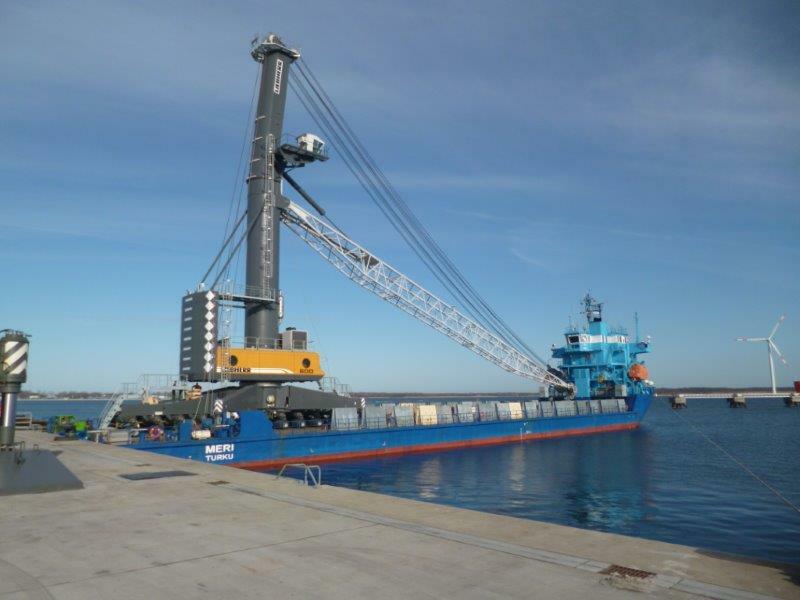 See featured images which shows the crane arriving at Able Seaton Port (home page image) and leaving Rostock Port, Germany (below) on board the 105-metres long vessel MV Merry. 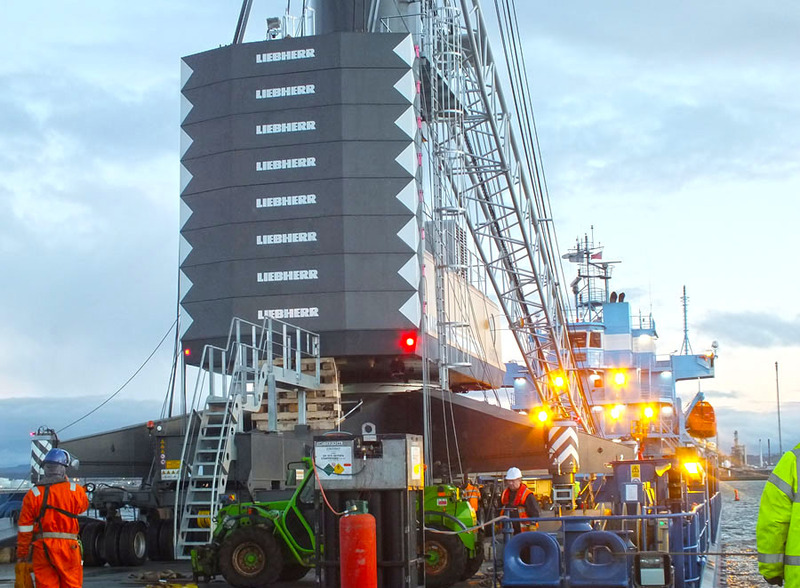 The multi-million Leibherr LHM600SHL mobile crane is being delivered from Rostock in Germany. 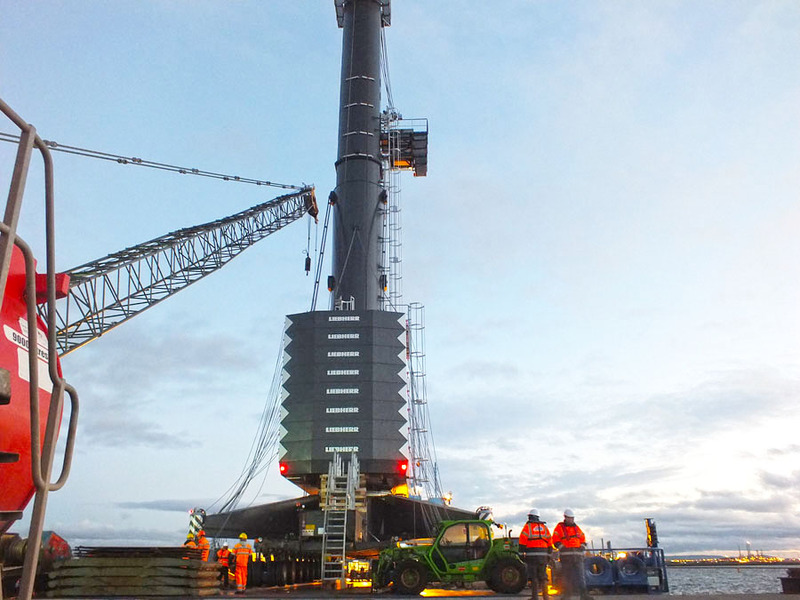 It has been specially adapted to meet Able’s specialist requirements…it is able to lift 208 tonnes, has a 58 metres radius with its hook height increased from the standard 45 metres to 64 metres, together with an increased fulcrum height in order to reach over tall structures such as semi-submersible oil rigs. 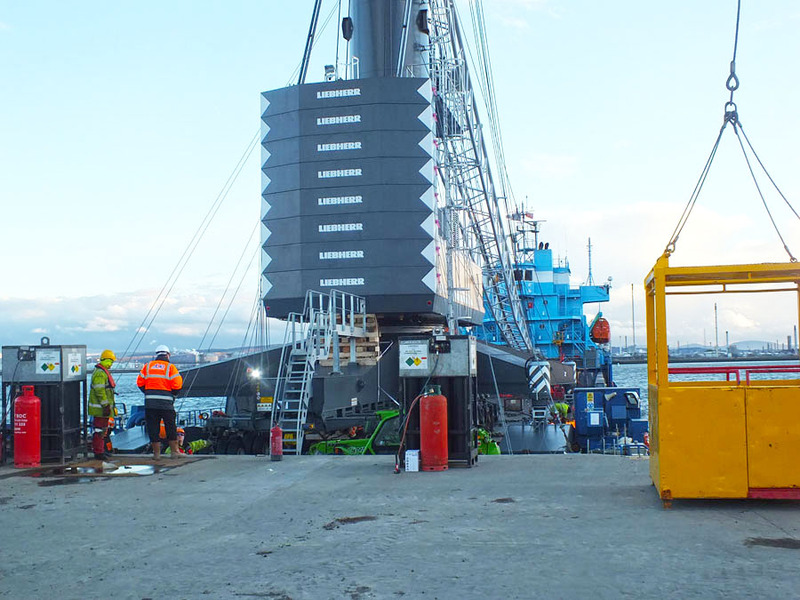 It will be used for wide range of activities associated with handling project cargo, particularly components for the offshore wind sector, as well as maintaining offshore oil and gas drilling rigs and other general port-related activities. 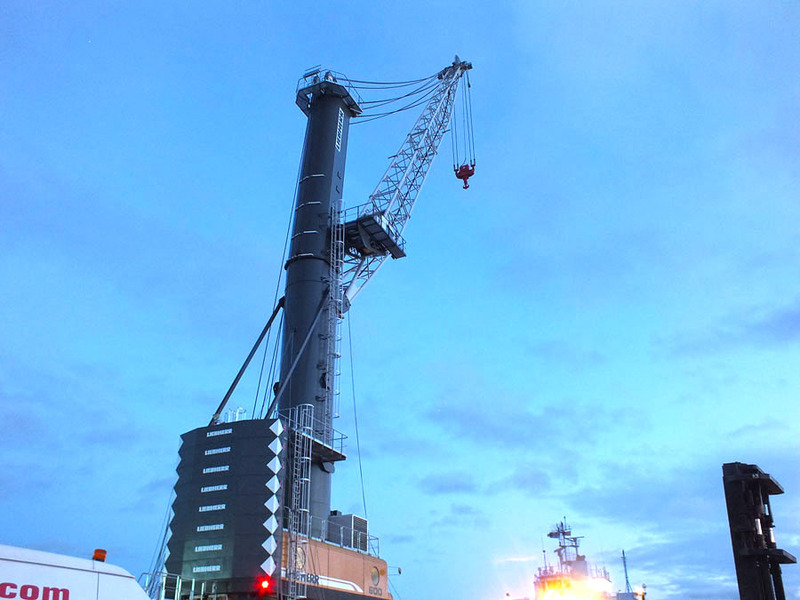 It is expected that around 40 new jobs will be created as a result of this investment. 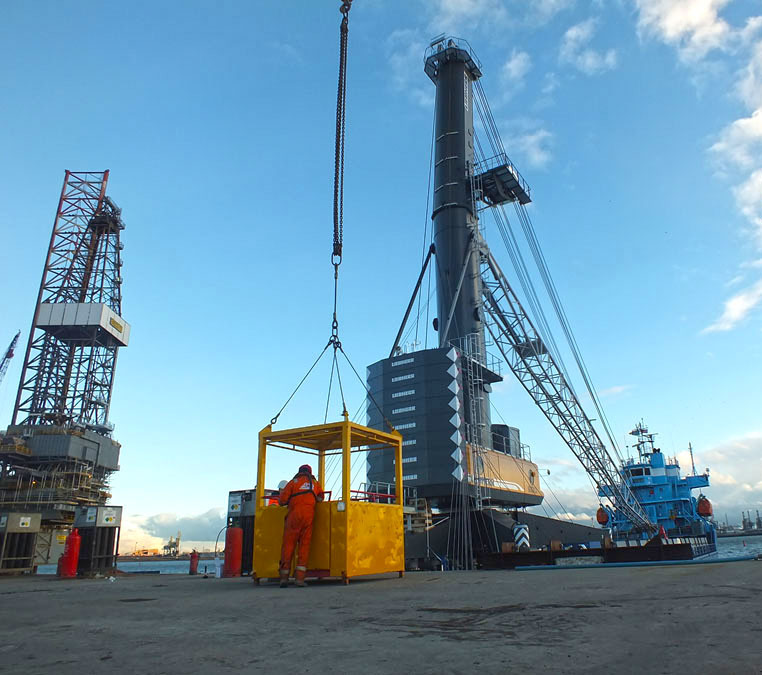 It was also announced recently that Able has been awarded a contract for the disposal of four offshore structures from the Shell operated Brent Field in the North Sea. 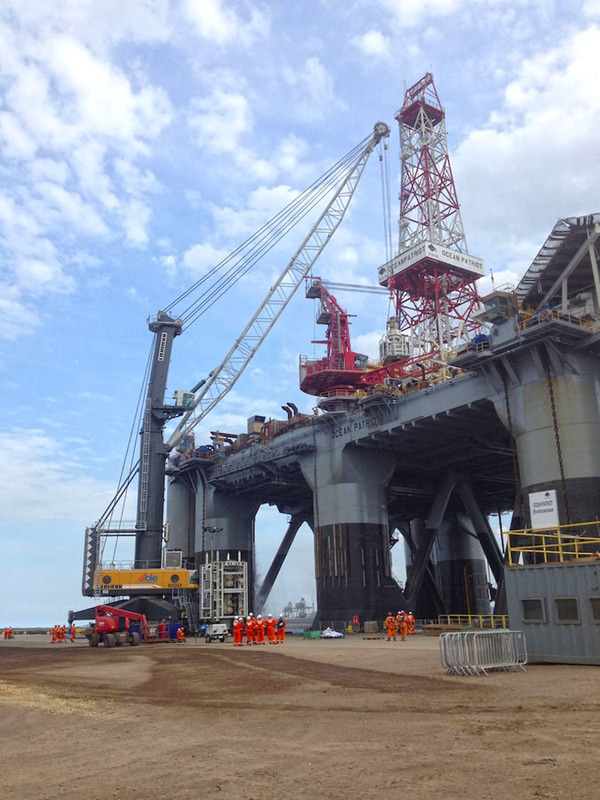 The contract will see three platform topsides, as well as a 138m high steel platform jacket, transported from the Brent field over 100 miles north east of Scotland to Able Seaton Port.